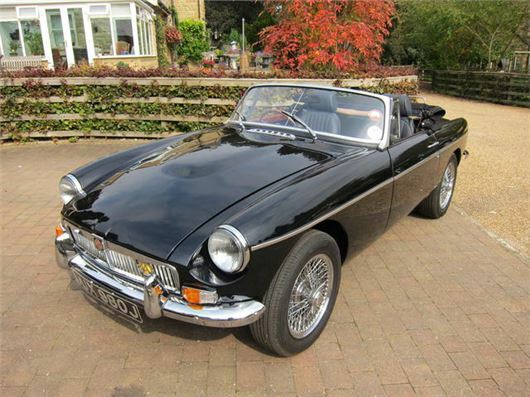 I’m thinking about getting a fully restored soft top: either an MGB with 3.5 V8 engine or TR6 with the 2.5. Which do you consider is the best for reliability of the engine and car generally, and where is the best place to look for one please? For example, there is one shown on Autotrader at Peter Vardy Heritage with only 1,770 miles. They seem to have a good name but I’m at the other end of the country so is it worth the trip? I was already well into my 30s when seat belts were introduced and wearing them became obligatory. I had open-top sports cars and took the view that in a serious accident it would be better to be thrown out of the car than to run the risk of the car overturning and being dragged along the ground on my head. This was probably false thinking. Last summer I bought a competently-rebuilt 1960 MGA roadster (I have owned three of these over the years, as well as a number of MGBs and earlier MG sports cars). While the final MGA model: the 1600 Mk II had strengthening points welded to the body so that belts could be optionally fitted, my recent acquisition is the previous model, which did not. However, the restorer has fitted belts to the car. I am aware that if belts are fitted to a vehicle they must be worn. I could of course remove them, but I should be glad of your advice. The MGA is probably the best-looking MG ever built (a friend is asking £35,000 for his subtly modified example). But did the restorer strengthen the mounting points for the seatbelts? If so, better to leave them in and wear them. You're not really likely to roll the car, are you? If they are uncomfortable (they obviously can't have a high shoulder mounting point) then the discomfort might outweigh the benefit. That said a few people have been killed in crashes involving classic cars where they have been flung out and might have survived had they stayed belted into the cars. I plan to retire in 4 years time. I currently have 2 years to run with my F-Pace which I like as it's British. Previous most admired cars have been 5 Series Estate and Q5. What longer term, reliable car would you suggest as a final purchase whilst still earning but that may well last for many years once retired? Prefer auto but will consider manual. Love SUV size but will consider estate options. On the basis of complaints received, current LandRovers, including even the new Range Rover Velar, can be riddled with problems. That discounts them. I suppose you could consider a Jaguar E-Pace with the 2.0 litre Ingenium petrol engine because it’s built in Austria rather than Midlands Britain. The new BMW G01 X3 is very good indeed, much better thought out than the previous X3. The new Q5 is excellent too, especially on air suspension, but the complaint level on VAG cars is very high. You could consider a Lexus RX if the shape doesn't offend your eyes. The latest Mazda CX-5 is very impressive. The KIA Sorento has a fine new 8-speed automatic transmission and comes with a 7-year warranty. And I'm currently driving a Renault Koleos, which is a bit soggy, but very comfortable on its 60 profile tyres and absolutely brilliant on rough, potholed roads in the rain, which is pretty much the state of Britain these days after our EU contributions paid for may of the new roads in Spain. Skoda shows in the final Yeti brochure warranty extensions to 4 years at £300 and 5 years at £630. It’s the same in the new Karoq. That’s what I was anticipating in my purchase package and I don’t accept the 3 “+2 later” position, which my dealer will not document in any case. I am increasingly suspicious the intent was to hope that I forget about the extension or they get time to evade responsibility. Or the car is sold or the dealer is sold. If the extension had been taken care of as implied at time of sale then I would have expected Skoda dealer screens would show the 5-year warranty. Almost by accident I asked a second dealer what their screen showed, and they said “standard 3 years”. That’s when I started to get miffed. There is no doubt that 5 years was offered on Autotrader, in conversation and on the vehicle order confirmation and has this not been implemented. The dealer has so far refused to confirm “his version” of the conditions of the 5 year warranty in writing. The dealer principle is being evasive. I have asked Skoda to comment on “normal policy”, without giving all the details, but they are yet to respond. I am 35 years old and recently passed my driving test. I am also dad to two toddlers and one infant. I mostly travel by public transport, but I need a car now. I want to buy a second-hand first car, big enough for three car seats in the back. What would you recommend, firstly if the budget is £1,000 - £2,000 and secondly if the budget is £2,000-£3,000? £1,000 - £2,000: Citroen Xsara Picasso, if you can find one that isn’t rusty. Had three separate seats in the back. £2,000 - £3,000: a later Citroen Berlingo Multispace, Peugeot Partner Combi, maybe a C4 Picasso. Older 7-seat Ford Galaxys, SEAT Alhambras and VW Sharans also had three separate mid-row seats, but most will have been worn out as taxi cabs. It seems to me that Mercedes would be better off investing to rectify the problem of Mercedes GLC models crabbing before their brand is devalued beyond recognition. The problem with the Germans is a general one of too many different models and too little development of each. KIA spent at least 6 years refining its GT showcar concept into the 'Stinger'. And it shows, everywhere: /road-tests/kia/kia-stinger-33-gt-s-2018-road-test/ Not only that, as with all KIAs, it comes with a 7 year warranty. Audi, BMW, Mercedes and VW are still only warranted for 3 years, unless you pay extra for a 5-year warranty. Delivery of quite a lot of German cars is held up as the manufacturers rush to get their multiple models qualified or the new EU6D / WLTP emissions standard. I’m ready to replace my 2011 diesel Freelander, but do I go for a new Discovery Sport, Toyota RAV-4 hybrid, or the Volvo XC40? Diesel, petrol or hybrid. Which will better my present real 40mpg? Just about any modern 1.4 to 2.0 litre 4x4 will better 40mpg. XC40 tested here: /road-tests/volvo/volvo-xc40-d4-2018-road-test/ But all diesels have had to have DPFs since January 2011 and these are prone to clog up with soot if the car is repeatedly used for short runs. You escape that problem with a Suzuki Vitara S 1.4T Boosterjet: /road-tests/suzuki/suzuki-vitara-s-boosterjet-2015-road-test/ The RAV-4 2.5 hybrid is perceived to be the most environmentally friendly. But a new RAV-4 250h and a new Lexus UX250h with the latest TNGA hybrid technology are on the way, arriving late this year. We recently purchased a used 2016 BMW 2 Series Gran Tourer 218 from a BMW dealership. During the course of purchase we made it clear that we would want to add a tow bar to the car, but that we would probably use an external supplier to fit this. As part of the final purchase price we also bought an extended warranty to top this back up to three years. When we recently returned to the dealership to resolve a couple of outstanding pieces of paperwork, we again mentioned the tow bar. This time we were told that having it fitted would probably cost in the region of £1,500 and that if we had it done by an external supplier it would potentially invalidate the terms of the extended warranty. This seemed like an astronomical amount of money, but in light of the warranty issue something that we perhaps ought to consider, particularly as the external supplier’s warranty was only 12 months. We subsequently asked for a quote from the BMW garage, and been told that to have tow bar fitted by them would cost £2,700+. This is because they would need to replace fans in the engine just in case we wanted to tow a heavy load. The tow bar will only be used for transporting 4 bikes, so the additional changing of fans feels like the dealership trying to over-sell the product. Can you clarify where we stand on the extended manufacturer’s warranty, the impact that having this work done by an external supplier would have on it, and if the dealership is in any way guilty of sharp practice? Up to you. The Approved BMW tow bar installation takes account of the extra strain on the vehicle from towing, plus, of course, the towbar electrics. You aren't going to be towing. So if you are prepared to risk voiding the warranty you could fit the aftermarket towbar. To be legal, it would still have to be EC Type Approved for the vehicle, even if not BMW approved. My Audi A5 will be 4 years old next month and I am considering whether to change the car. It's in excellent condition with no problems and averages 49 miles to the gallon with 28,400 miles on the clock. It was my late husband's choice of car and I would prefer something smaller. I'm looking to change to a petrol engine, but would still prefer an automatic. My annual mileage is 5,400 and mainly short journeys. My price range is up to £20,000 and the boot space needs to take a set of golf clubs and a trolley. I'd go for a Mazda CX-3 2.0 Skyactiv G 6-speed torque converter auto. Lovely looking car that's also very nice to drive. I can't recommend any smaller engined VAG cars because they all have the DQ200 7-speed dry clutch DSG that isn't sufficiently reliable. I have heard that a torque converter Focus is now available. Are there any test results yet? Have Powershift problems yet been solved? I have a 2012 22,000 miler, so far OK. Should I get rid? Ford has been fitting the six-speed torque converter to some models for quite a few years. I have only ever driven it in the Tourneo Connect 1.6 EcoBoost, where it was fine. The new Focus announced on Monday will be offered with an 8-speed torque converter automatic transmission, or a CVT in hybrid versions. I generally recommend Mazda automatics because they all now have an excellent 6-speed torque converter automatic box. Wet clutch Ford Getrag Powershift okay as long as it gets fresh fluid every 3 years. Dry clutch Powershifts seem to suffer a lot of clutch pack problems. I have accepted (gratefully) an independent dealer’s offer of £4,000 for my part-exchange and am awaiting delivery of a Honda HR-V 1.5i VTEC CVT7, SE. I note that you have in today's Telegraph described it as spacious, versatile and (importantly) very reliable. Test here: /road-tests/honda/honda-hr-v-2015-range-road-test/ I ran the diesel version for a year: /our-cars/honda-hr-v/ And we have run a 2010 Jazz 1.5iVTEC auto in Thailand for the last 3 years. I thought it was generally agreed advice to hold hands on steering wheel at '10 to 2'. However, I have read that if the air bag is triggered then hands will be forced back into the face like a strong punch. The resultant advice is then to hold hands at '10 to 3'. What is your recommendation? Hold the wheel in the appropriate place for the circumstance depending on where you are driving the car, how many corners you have to negotiate, how tight the corners are, whether you need to change gear, how much control you need of the car. If you remain in full control you won’t hit anything. With a new family member due in a few months I need to find a 7-seater to accommodate three children (11, 8 and baby). I’ve narrowed the search down to a Citroen Grand C4 Picasso, Vauxhall Zafira Tourer and Kia Carens, the latter included as I currently drive an 8 year old Cee’d and have been happy with the car including the longer warranty. My budget is around £13,000 (cash plus cee’d part-exchange) and I’m looking for a 2-3 year old car with under 25,000 miles. I do around 10-12,000 miles a year, mainly shorter distances and currently feel a petrol would suit my needs better. However, these are fairly limited on the used market, especially for the Citroen and Kia, and the Vauxhall’s CO2 emissions for the petrol engines make the car tax a bit high. Any advice on best options would be greatly appreciated. You won't get a 2 - 3 year old Picasso with the 1.2 Puretech 130 engine. So it's between the Carens: /road-tests/kia/kia-carens-2013-road-test/ and the Zafira Tourer: /road-tests/vauxhall/vauxhall-zafira-tourer-2011-road-test/ You could add the Volkswagen Touran and Toyota Verso to the list. I would like some advice about my Mercedes Vito 120 CDi Sport. I bought it 10 years ago as a private vehicle for windsurfing and carting the family paraphernalia. It is starting to show signs of corrosion but runs beautifully and is a pleasure to drive with the 3.0 V6 engine giving a car like performance. I’m about to relocate to the USA for 3 years (work) and had intended to sell it. However, one of the reasons I have kept the vehicle so long is the poor aesthetics and performance of the replacements in the Vito range. I will require a similar vehicle when I return to the UK in 2021, is it worth keeping and restoring the minor corrosion? This is of course assuming the diesel debacle will be clarified in 3 years! Current Vitos are vastly better to drive and soon they will have the new 2.0 litre MB 4-cylinder diesel that is much better than the current 2.1 diesel. We currently run two cars: A 2006 Mazda 2 1.4 diesel with 123,000 miles, lots of work done last year (clutch, exhaust, alternator and starter motor) and the power steering has bust today. I have had enough and want to get rid. It is at the garage. We also have a 2005 Toyota Corolla Verso, petrol with 85,000 miles that uses three litres of oil every 4-6 weeks due to a common fault: piston rings, I think. We can potentially borrow £10k to buy two new cars at £180 per month for 5 years. We have three children: 14, 12 and 8 and a Cocker Spaniel, so we need a larger family car with three seats in the back and a smaller runabout. I commute 36 miles a day from Holmfirth to Halifax and back 5 days a week. My wife does the same journey three days a week. We both work with young people with disabilities, our monthly income is £3,000 and our outgoings are about £2,300. We would like to get two reliable cars, with good mpg and low tax (like most people, I guess). I am thinking about getting a 2008 Daihatsu Sirion 1.3 SE with 44,000 miles from a local dealer at £2,650. I have bought from them before and they are good to deal with. Any thoughts? Due to the Toyota's excessive oil consumption I thought it might be worth changing that too: we have had it three years and it cost £3,500. I wondered about a Vauxhall Zafira as the family car, possibly in the £5,000-6,000 price range. We are very much open to suggestions and any help or ideas much appreciated. I find changing and buying cars very stressful. My son in law, who lives in Norway, bought a new Ford S Max Automatic diesel just over three years ago. It has just been diagnosed as requiring a new gearbox at a cost of £5,500 by the supplying Ford Agent. The warranty is for 5 years or 100,000 kilometres on the drive train. The vehicle has done around 75,000 kilometres, but the agent claims that a service has been missed, so does not accept responsibility. The agent also does not stamp the service book, claiming they are recorded on the computer nowadays, so it is difficult to prove that a service has not been missed. Surely an automatic gearbox would not normally require any service work in that amount of use would it? I feel that they are using the service dispute as a way to escape their responsibility. What do you think? The Getrag Powershift DCT on an S-Max requires fresh fluid and filter every 3 years or it will fail. That service would be recorded on Ford’s central computer. We are thinking of replacing our old Mazda 323 with a new small car similar to the Honda i10 but are having problems finding something with good ground clearance. The Mazda just clears the hump into our drive with careful handling but the majority of small cars would bottom on it. Any suggestions would be welcome. We also have a fairly narrow garage.